This was my life leading up to 14.4. I was not digesting food at the rate I normally do, which is ultra fast. In reading a book on diabetes recently, I learned that diabetics don’t produce a hormone named amylin that slows down the absorption of food in non-diabetics. This explains why I have the urge to eat every hour on the hour. That was not the case this week. With my digestion slow, my blood sugars held steady between 70-90, meaning my brain could almost function normally…almost. I likely had an infection of some sort. I finally lowered my insulin levels after 3-4 days of gathering data. Then the infection passed, my blood sugars skyrocketed, and I had to complete 14.4. 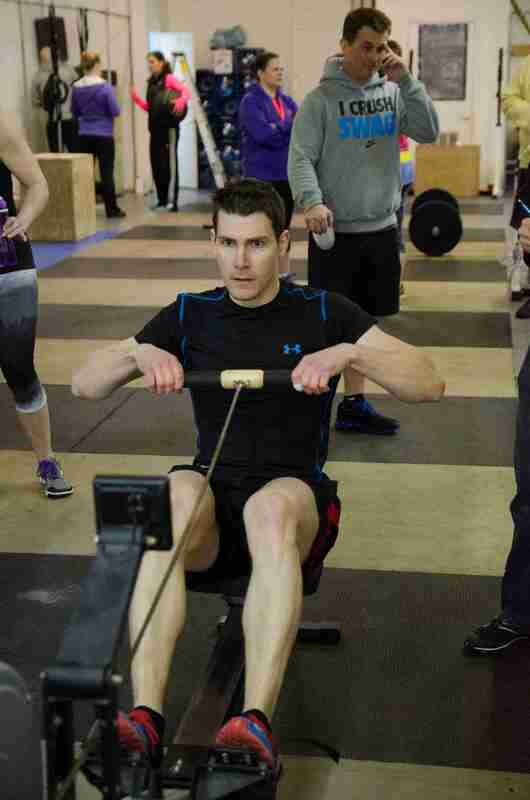 The row is self-explanatory except that you’re rowing until you burn 60 calories. Toes to Bar require you to hold onto a bar at the bottom of a Pull-Up position and touch both toes/feet to the top of the Pull-Up bar between your hands. Wall Balls are squatting below parallel with a 20 pound medicine ball and throwing it to a target 10 feet high. Cleans are…are…are too complicated to explain, so checkout the pictures at the bottom left of this link. Think DeadLift into Front Squat. Muscle-Ups are hard. Grab gymnastics rings. 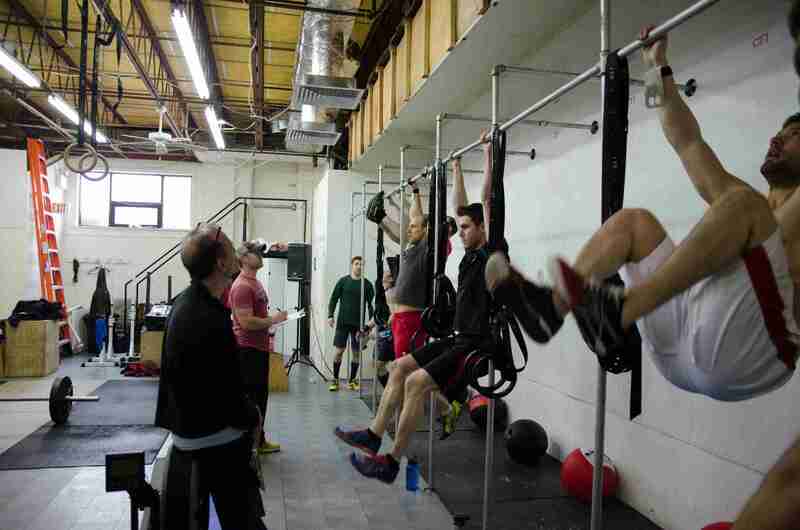 Perform a Pull-Up, then get above the rings and complete a Dip. This separates the men from the boys. Toes to Bar are not fun. Okay 1 is fine, but 50 are not. Just ask this Toe to Bar Gang. Despite having to wait 3 hours due to the aforementioned debilitatingly low blood sugars and completing the workout with the subsequent skyscraper high blood sugars, I’m proud to say I’m #1 in the world at completing this workout with 3 Muscle-Ups. In other words I’m not #1 in the world, because I only completed 3 Muscle-Ups and many completed many, many more, but of all the people that completed only 3 Muscle-Ups, I likely had the best split time. The tiebreaker for people who have the same number of Muscle-Ups is the time you completed your Cleans prior to the Muscle-Ups. My split time was about 10-and-a-half minutes. 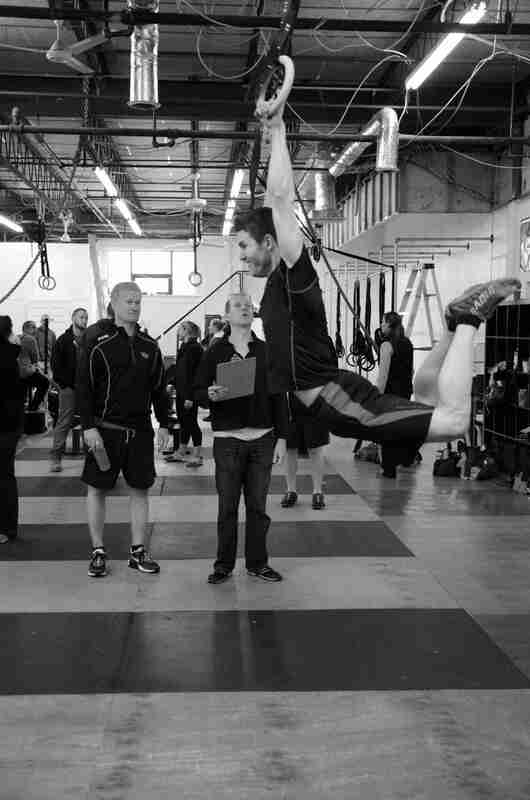 Anyone who completed the Cleans quicker than that and could do a Muscle-Up likely did many more than 3 Muscle-Ups. I clocked in at about a minute per Muscle-Up. They’re hard, but a minute per Muscle-Up is pretty pedestrian. I’ll be better next year, but for now I’ll take solace in that I can say I’m #1 in the world at something. 14.5 was announced and jaws dropped, hearts raced, and feet trembled at the sight of a monster. That’s 84 Thrusters and 84 Burpees. Enjoy! 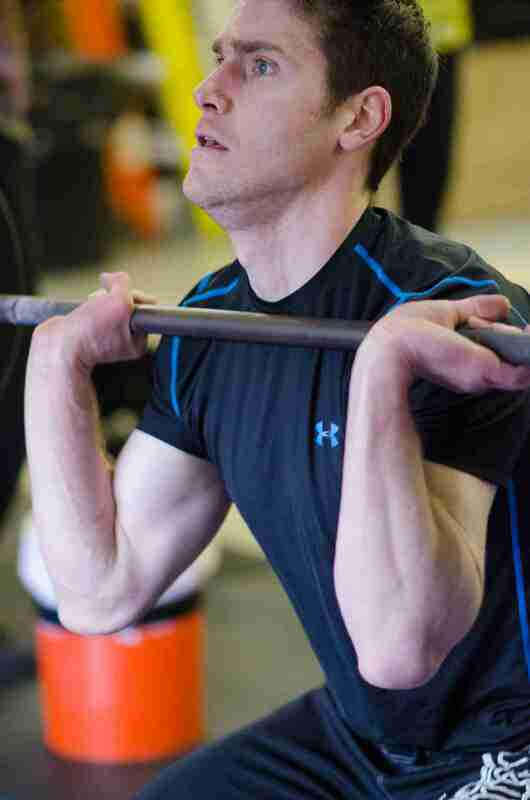 Thrusters are a Front Squat followed by an Overhead Press. They’re the source of inspiration for my recent speech, “Jimmy the Giant” recounting how obesity could be solved by everyone doing Thrusters daily They’re hard. They’re sadistic. They’ll rock your world. Meanwhile, Burpees were invented by the Devil and Bar-Facing Burpees come from the Devil’s evil in-laws. Jump over your barbell. Face the barbell. Drop to the ground until you’re at the bottom of a push-up. Stand up. Repeat. Vomit. Normally, the CrossFit Open workouts have a time cap. Complete as many reps as possible in a certain amount of time. This is the first workout that required you to complete everything in ten minutes, 30 minutes, or however long it took you to finish. Some people looked like they were growing old before my eyes completing this workout. Others were truly inspiring. Rhonda could barely do a single Thruster with the 65 pound weight for women. Instead, she did 84. Pretty amazing! I finished just under 14-and-a-half minutes, which was a pretty good score. I placed myself closest to the garage door opening at our box (gym) to get more fresh oxygen and discounted the fact that gymnastics rings were hanging over my head. My barbell got stuck in the rings on my 3rd rep, but once I dislodged it the rest of the workout was smooth and painful. My first 60 Burpees were the best I’d ever done likely from watching this Carl Paoli video over and over again. Doing Thrusters, hoping that looking up will make the bar lighter. After the torture of 14.5 another CrossFit Open was complete and the post-Open party commenced. I gathered a list of improvements for next year: Butterfly Pull-Ups, Long Toes to Bar Sets with Short Rest, Stringing Together Muscle-Ups, Heavy Overhead Squats, DeadLifts, Cleans, and Snatches. I now know better what I do well: heart, focus, and strategy. That’s the best part of competition – being inspired, recognizing accomplishments, and knowing clearly what you want to improve. Now it’s time to get back to work! Just because you fail once, it doesn’t mean you’re going to fail at everything. Keep trying, hold on, and always, always, always, believe in yourself because if you don’t, then who will? So keep your head high, keep your chin up, and most importantly, keep smiling, because life’s a beautiful thing and there’s so much to smile about.